Each family needs that special place where everyone can find something they love on the menu! In the Waterloo-Cedar Falls area, that place is the Highway 63 Diner. The made-from-scratch recipes developed by Don and Sue Landau will stimulate your appetite. 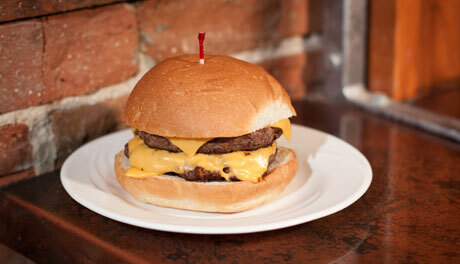 Have a hand-pattied burger, a bowl of homemade chili or a steak cut in our own kitchen. Our special shredded lettuce salad is served family style with our homemade dressings and accompanies each sandwich and dinner entrée eaten in the restaurant. Whether you're hungry for a sandwich, seafood, steaks or you prefer something vegetarian, you can find a meal to satisfy your hunger at the Highway 63 Diner. Come join us soon! The Highway 63 Diner is easy driving distance from Crossroads and College Square Malls, the University of Northern Iowa and the UNI-Dome. Reservation Policy - The Highway 63 Diner accepts reservations for the convenience of our customers. We only take a limited number of reservations so that we can continue to serve our walk-in customers. If you are interested in a reservation on the weekend or at a particular time, we encourage you to call at least several days in advance. Please note that parties holding a reservation will be given first available seating only when the entire party is ready to be seated. Banquet/Party Facilities - Space is available for parties of 40 or less on a reservation basis only. Smaller parties may be accommodated in the main dining room at the management's discretion.